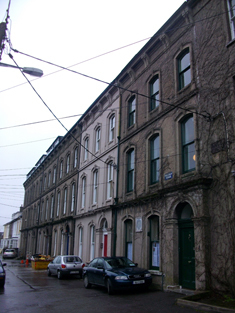 Wellington Road in Cork city runs from the intersection of Sidney Place and York Street to St Luke's Cross. The names of the streets and buildings in this part of Cork - the area directly north of the river Lee and east of St Patrick's Hill - speak strongly of Cork's history as a former British city, and in particular, of the Napoleonic Wars (1803-1815). Sidney Place leads to York Street and Wellington Road, and Wellington Road leads to Belgrave Place, Waterloo Terrace, Wellesley Terrace (pictured below), Alexandra Road (Queen Alexandra, wife of Edward VII), and Military Hill. Wellington's victory over Napoleon at the Battle of Waterloo in 1815 - where a full 30% of the British forces, including the Duke himself, were Irish - made him a famous British war hero, and Wellington Road reminds us that his victory was celebrated (by some, at least) in Cork as elsewhere in the British Isles. Wellington Road is a lovely street - one of the nicest in Cork. If you find yourself in the city, walk down the street from St Luke's cross to Sidney Place and follow Sidney Place to where it meets St Patrick's Hill. Along the way you'll see some of the finest 18th and early 19th century terraces in the city. 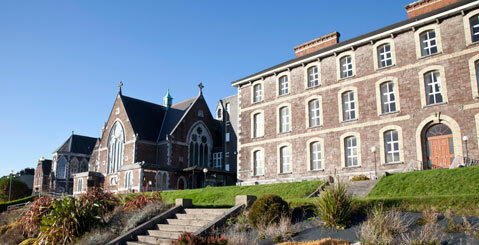 At the top of the hill you'll also see the former St Patrick's Hospital, founded in 1870. This imposing red-sandstone building is an important Cork landmark, and has a fine neo-Gothic chapel. It's pretty clear that this box has been removed and re-set into the wall - hence the messy mass of cement now holding it in place. But at least it has been preserved, and painted, and continues to serve the area. Note that this box is marked 'Post Office' - and is therefore a pre-independence, British box - but is missing its Royal Cypher. I can only assume it has been removed - see the faint scoring below the aperture where the cypher would normally appear. 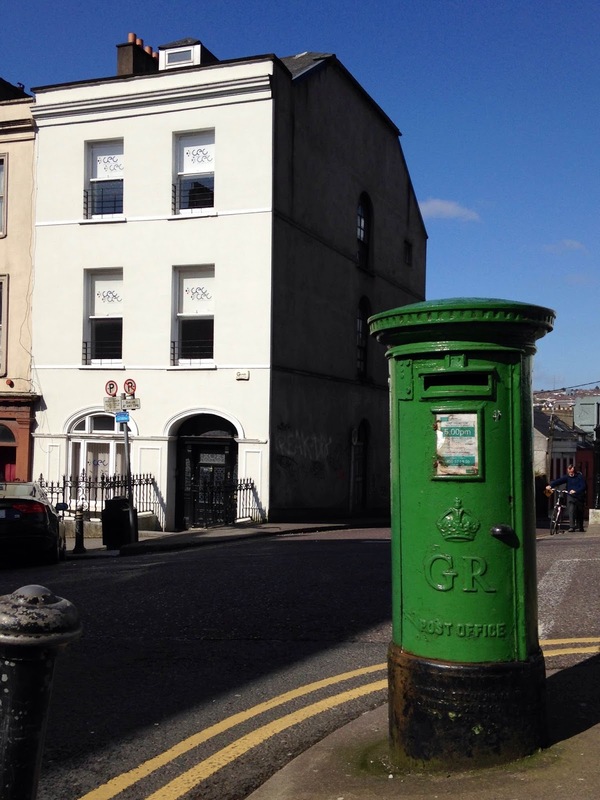 This box probably isn't used as much as it once was, but it still frames the end of the road beautifully, proving once again that the Irish postbox isn't just a functional thing but a piece of architecture in its own right. And now we can ask ourselves: what would have happened had Napoleon won the war? 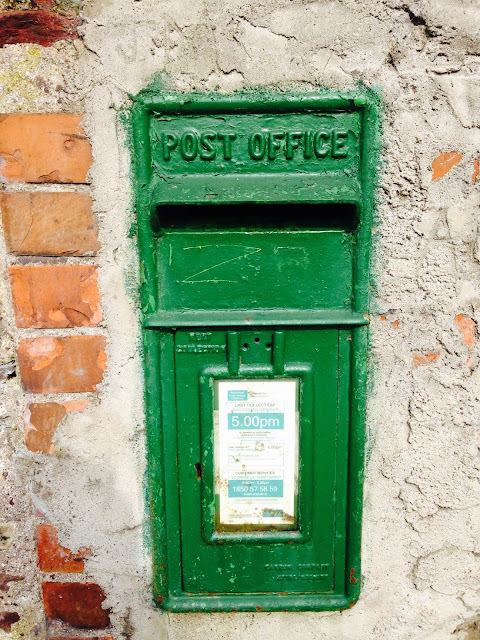 Perhaps we'd be standing at the end of Rue Bonaparte, and we'd find ourselves faced with a green wall-mounted La Poste box. Somehow it wouldn't be the same.